I am a genuine comic lover.Your story gave me a pleasure.Thank you for a lovely comic story. Right now the goal is to finish the series. It will be about 30+ (40page) issues when it is all done. 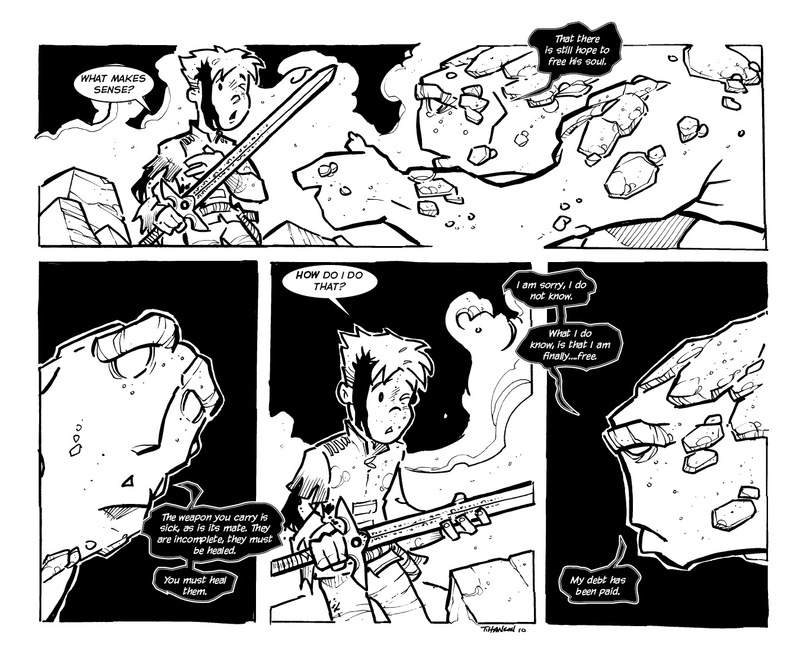 I am using the smaller issues to help fund a much bigger book in the future. It's really all about costs. If I can sell enough of the small ones to keep the series going, I will be able to go back and print much larger and in full color trades. The trades just cost a lot more right now and I hate for people to have to wait a year or two between books. Also the comics are printed a little different. They are printed on 100lb cover stock with a 70 pound interior. They have a much beefier feel and at 40 pages inside it gives them a stronger and more valuable appeal. Yet like I said right now i need to finish the story and the series and then I will worry about the trade. By buying buying the series it will in the long run help fund the trades. i was thinking we were near the end of Act II/start of Act III for the first novel but I wasn't 100% sure. Seems I pegged it right. I've loved the comic since I first discovered it about 5 or 6 weeks ago and can't wait to see where you are going with it. you got it pretty right. I am also glad you are enjoying the comic. It is the way it is supposed to be. Where are we in the overall storyline? I've been racking my brain for the last week trying to guess the placement in the structure, but can't pin it down. For example are we at the midpoint of novel 1? The Act I turning point of Novel 2 or what? hi scott- we are still in novel 1 near the end. The first 5 comic books are the first book. Issue 6 starts the lost prince of dark leaf. I made some minor and some other changes to the story to help the flow of it. It reads a little smoother with the tweaks and more towards the original comic that was written many years ago, before i novelized it.